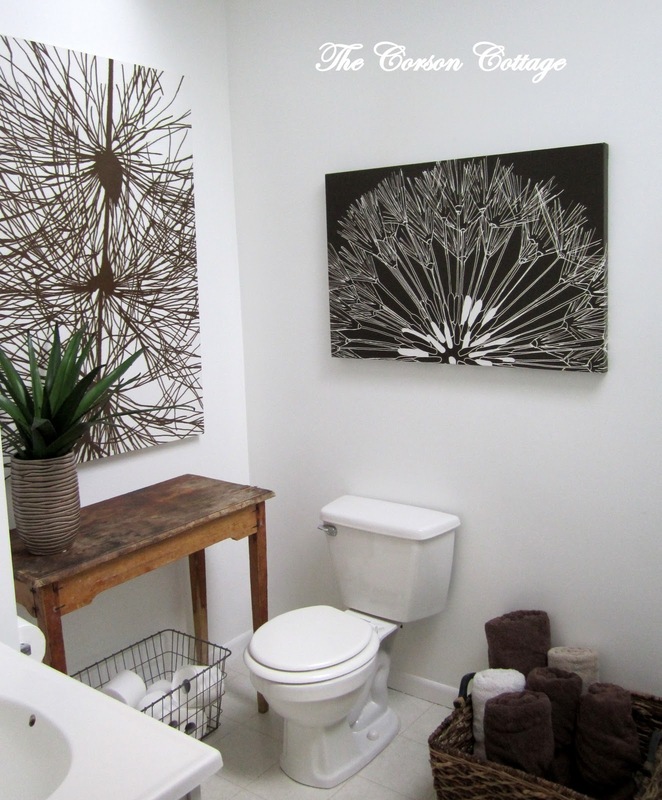 How we took our drab boring bathroom to fresh modern cottage bathroom! Here is our upstairs bathroom before. 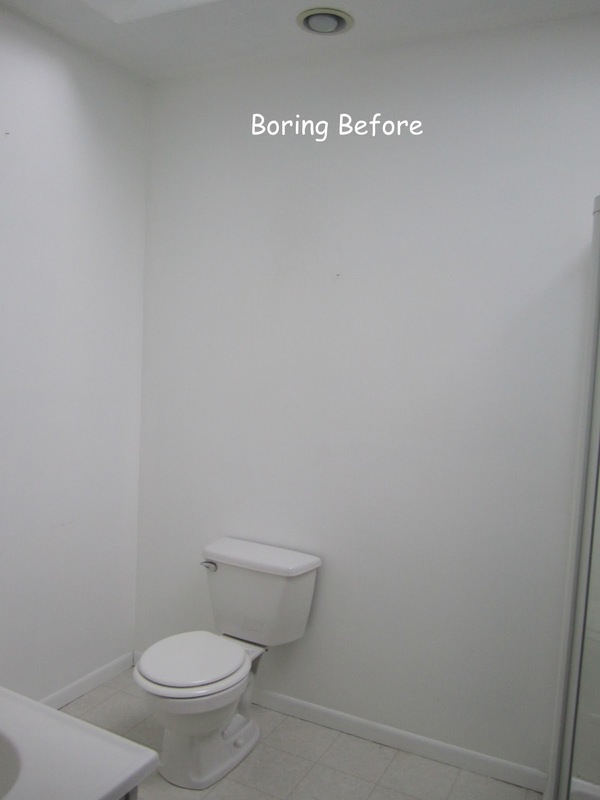 Our bathroom walls are just a simple white satin by Behr. They were actually a lovely pastel seafoam green when we moved in. With just a few simple touches we went from drab to fab. A rustic vintage table I picked up from a local junk shop for $10. There is not a lot of storage, so I used a large basket to roll up our towels. I used a vintage wire basket to store the t. paper. The 2 prints came from Dwellings. I’ve actually had them for several years. From my apartment living days. 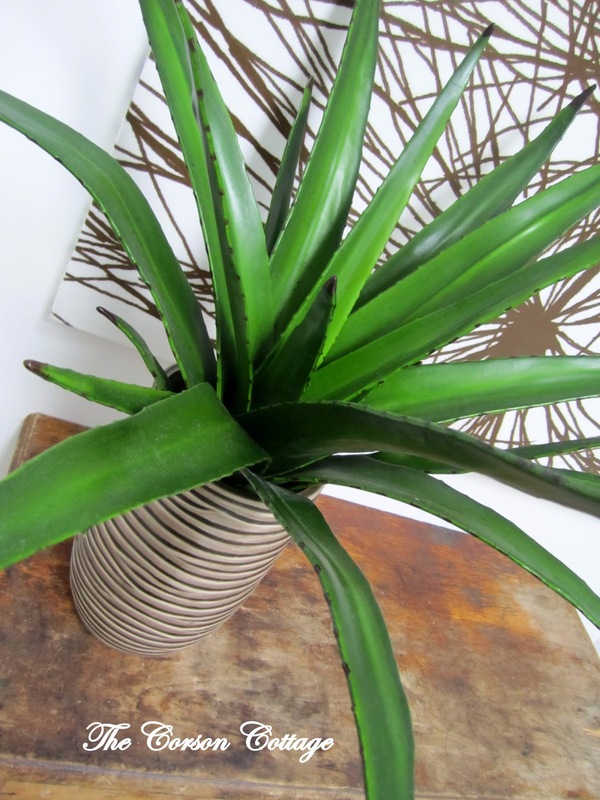 And a vase with a pop of fresh green. I love nothing more than simple white walls. I think it really allows for the rooms colors and textures to stand out. You can help let your warm wood tones stand on their own. I love to do this when I have a vintage wooden piece I’ve added to a room. are the perfect mod cottage mix. Thanks so much for featuring us Cassity! We are so honored to be a part of your blog. Lovely!!! Those prints are perfect for the space! LOVE LOVE LOVE the rustic table. 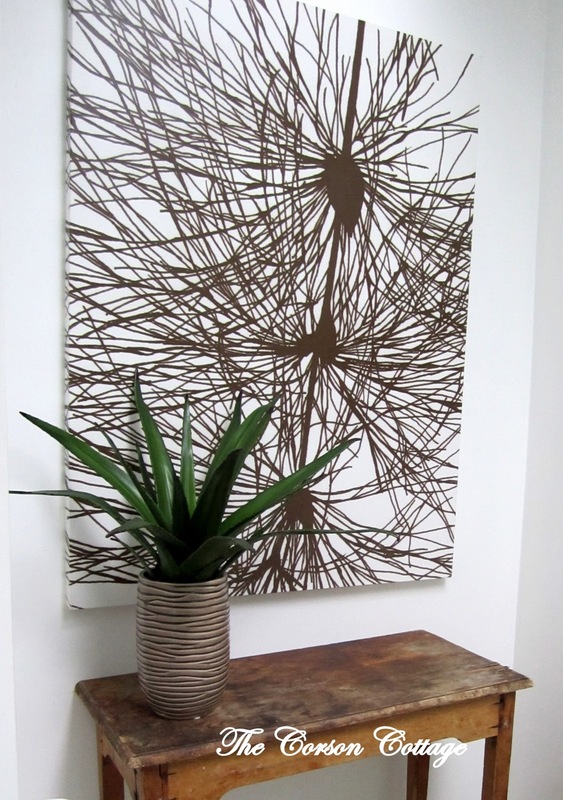 I am obsessed with the print above the rustic table, do you know the name or the artist? Love it! That table is PERFECT for the space. I have a teeny (5×5, not including the shower) master bathroom, but am looking for a petite table for a corner – like an antique telephone table. Now I’m more inspired. 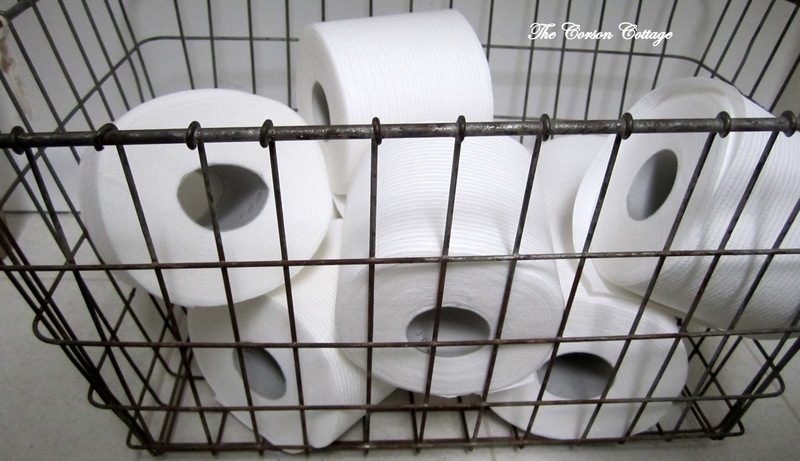 I also love the wire basket for the TP – what a great idea. Sally – The artist of the print is Sarah Bradish. I purchased the print through my brother’s store Dwellings a few years ago. I know that the wholsale vendor he purchased from was Design Ideas. Dwellings does not currently have a website, but we are looking to in Spring 2012. Thanks Carrie I will anxiously be looking forward to his website. Thx for responding! Very pretty. Love the table in there. Great idea. Love it! Simple yet classy! The best part, it didn’t break the bank! Just added a little something something to the space!